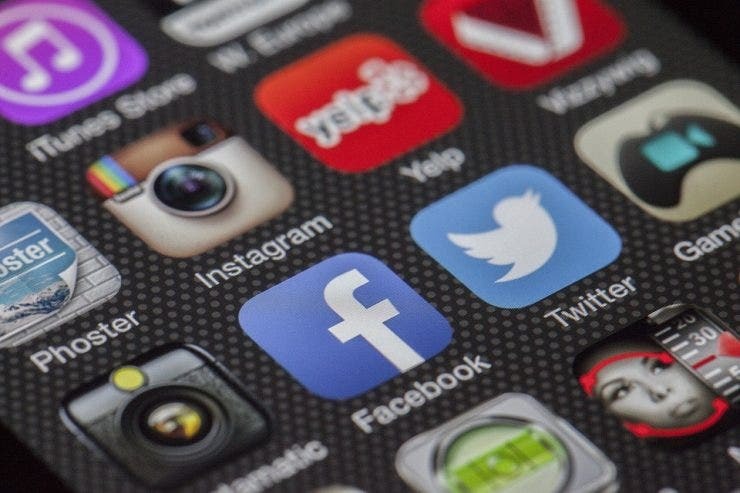 Every business knows that social media platforms are one of the best tools that allow them to easily market their brands to their intended target audience. However, it’s because it’s so easy that there many competitors going against one another to try and gain the advantage in the market. you may also see Analysis Templates. So if you plan on using social media as the means of propelling your business to success, then you’ll need to learn everything about your competition and how they plan on using it as well. 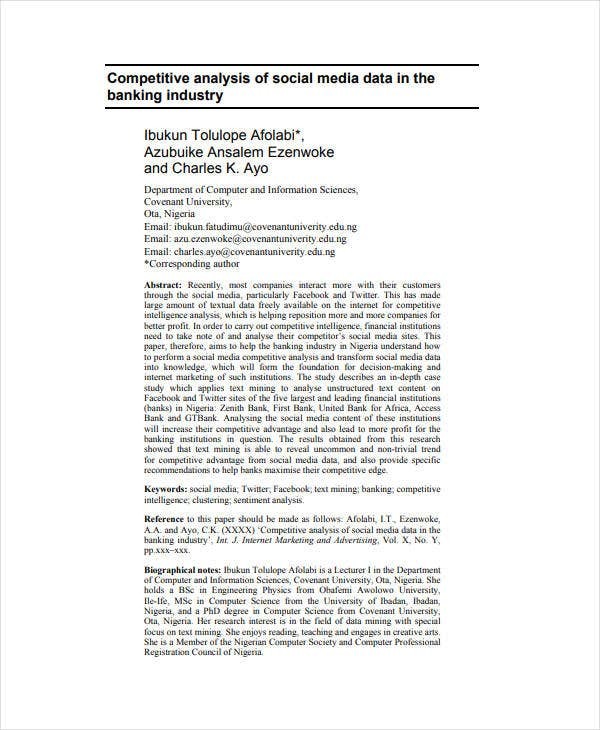 And that’s why this article is going to teach you how to do a social media competitive analysis template. 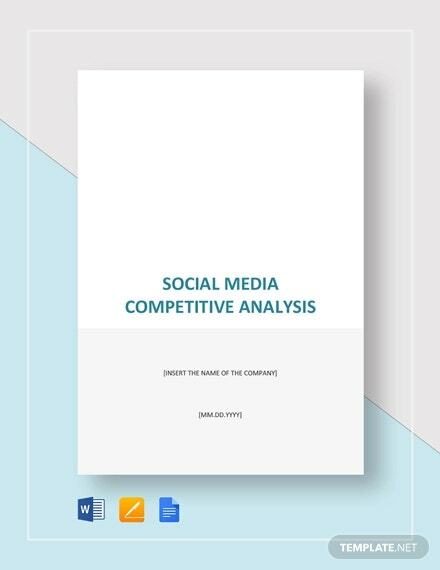 Remember that the entire reason as to why you would want to do this type of analysis is so that you are able to see how your competition utilizes social media, as well as allowing you to make the decision as to whether or not you should take part in using it for your own business. 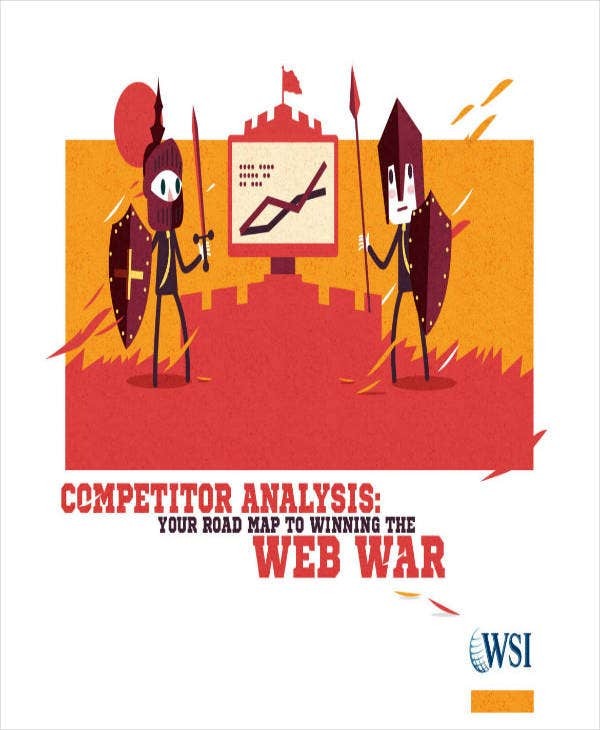 The analysis should outline everything from what your competitors are doing to your business’s current situation. 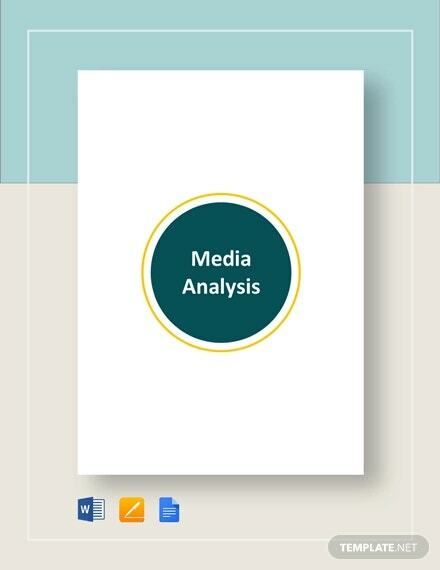 The more you understand how your competitors are using this particular media channel, the better you can come up with strategies that will help give you that edge against them. The first thing that you are going to have to do is for you to realize which of these businesses are your competitors. You need to consider that not every business that’s on social media are one’s that you’ll go up against. Rather, you should focus on those that are similar to yours. This means those that sell the same products/services and those who are aiming at the same target market. So what you’re going to have to do is to make a list of the ones that you think are the biggest threats. These would be the businesses that have seen the most success in the industry. This means that you are going to have to learn everything that there is to know about them in order to develop the strategies that will allow you to deal with them. If you’re going to learn about your competition, it’s best that you are able to come up with a team that will help you do so. This means that you’ll want to choose employees from your current staff that you’re confident enough with in handling the tasks that you need done. When choosing the right people, it’s important that they have the skills, knowledge, and possibly even the experience that will allow them do their roles properly. You’ll only want those that are able to provide you with what you need so choose carefully. Once you’ve managed to select the people to be a part of your team, then next is to figure out where everyone will need to gather the information needed to learn about the competition. This would mean that you will need to consider the social media channels that your business is going to use, and the ones that your competition is on. Assign these people with what they have to do so that you can get all of the information that you’re going to need. Be sure that you are able to explain these tasks in detail so that they’ll know exactly what has to be done. When you’ve assembled your team, then the next step is for everyone to understand the basics of your competition. What this means is that all of you will need to learn about what it is that they do, what it is that they provide, who their main target audience is, where they’re located, etc. The more you are able to learn about your competition, the more you will be able to assess them in terms of whether or not they’re a threat. By going through their social media pages, you should be able to gain basic information such as their addresses or the products and services that they have to offer. The better you understand them, the better your chances of gaining the competitive edge. 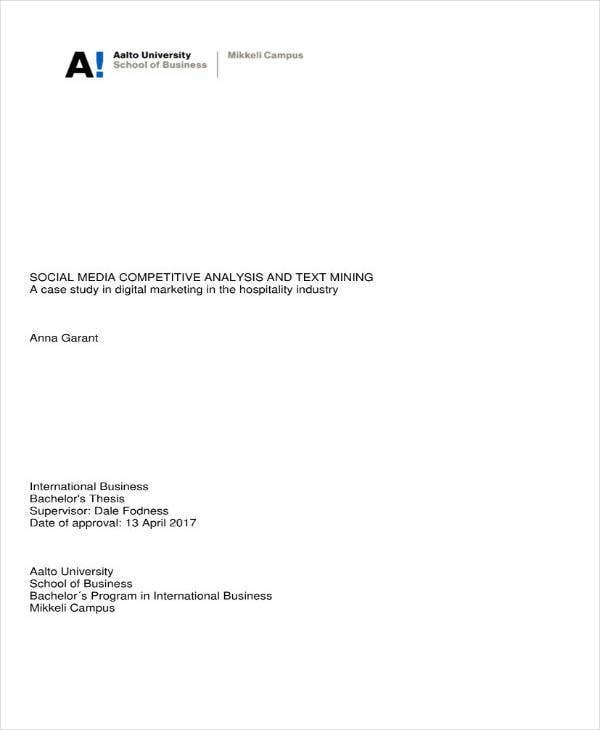 Next is that you and your team will need to learn about all of the different strategies that your competition has implemented with the use of social media. This is where you’re going to have to take a look at how they’re using the platform to attract customers, and to see if they’re able to do so well or if they’re facing any problems doing so. So what needs to happen is that you and your team will need to go through the social media sites that you’ve chosen and check on these business’ social media pages. From there, all of you will need to see how exactly they’re trying to engage with their customers. For example, you can take a look at what they post. How frequent do they make posts? What are the usual contents of these posts? Do you see a lot of people commenting on them? If so, then what do they usually have to say? These are questions that you are going to have to answer if you want to understand what they’re doing. Every business has its problems, meaning that you’ll most likely find these problems in their social media pages. You want to instruct your team to see if your competition is facing any difficulties that they have yet to resolve. For example, you can ask them to go through posts to see if there are customers that have made complaints, yet have not been attended to by the competition. Problems such as these are ones that you should definitely avoid so that your business won’t suffer them. However, you can also learn from these businesses should they happen to fix their problems. Because let’s say that your business’ social media page is suffering the same issues. By learning how your competition has managed to fix them, then you can decide to copy the same methods. Take note of these problems so that you come up with the most effective solution to ensure that they become a non-issue for your business’s social media page. When you’ve managed to gather all of the information that you need from the businesses that you have to do business with, then the next step is for you to see which of them are the ones that you will need to prioritize in dealing with. Based on the results that you have managed to gather, all you have to do is make a list of the top 3 or top 5 competitors that you need to keep a constant eye on. They’ve reached the top of the industry for a reason and you have to do what you can to gain the competitive edge against them. Also, it’s best that you keep an eye on rising businesses as well as you may have something to learn from their growth. Once you’ve managed to figure out who your business needs to deal with, then all you have to do now is to figure out the means in which you are going to do so. 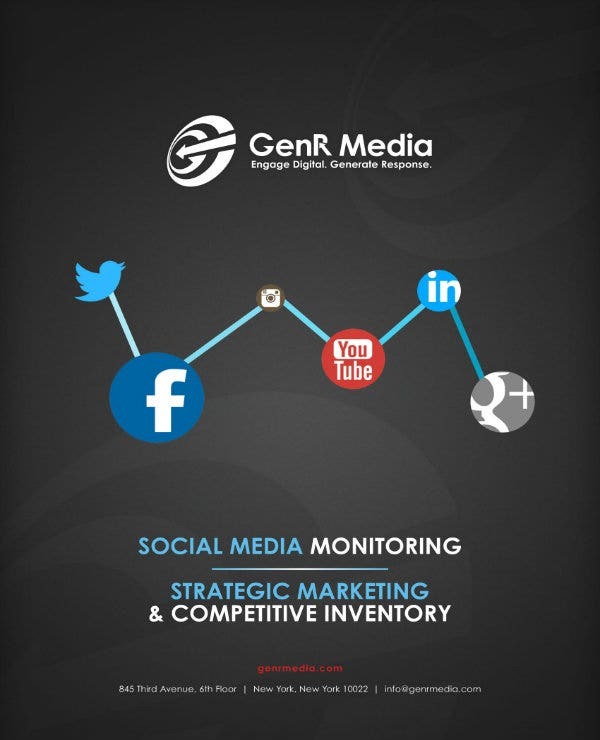 Based on all of the information that you have managed to gather, all you have to do is to come up with strategies that will allow you to effectively gain the competitive edge, or to at least be on par with your competitors. Think of things such as the most cost-efficient and effective promotional material that you can use, the ways that you will engage with your target audience, how you’re going to market your business and more. Make use of all the information that you’ve managed to gather up to this point to help you. Although this isn’t going to be an easy task, remember that doing the analysis is always going to be important. So follow the steps above and you should be able to conduct one that will undoubtedly help you and your business. 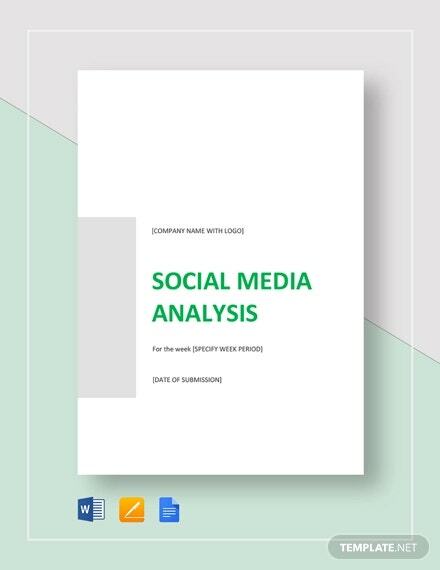 In the event that you would like to learn how to come up with other types of analysis, then all you have to do is to go through our site. It has many different articles that should be able to help you with whatever it is that you need. Just be sure that you are able to read whatever you’ve chosen thoroughly so that you can make the most out of what they have to offer.